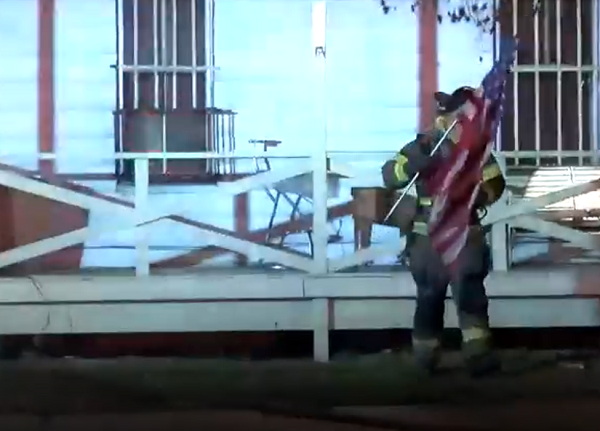 Firefighter Spots American Flag Burning In Veteran’s Home Blaze & Rushes To Save It. 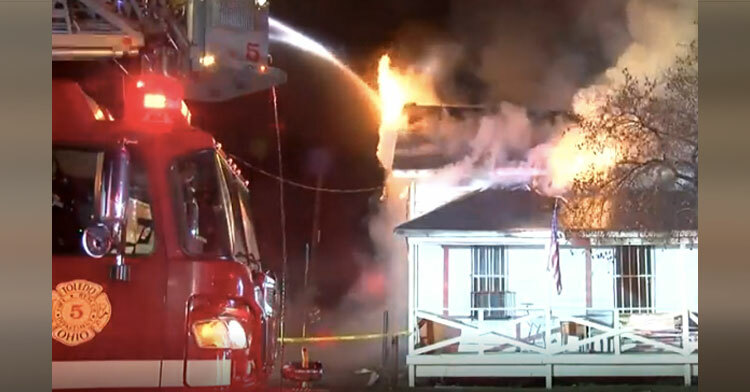 It was 1 o’clock in the morning, and firefighter Allen Skomer was on the scene of a house fire in Toledo, Ohio. 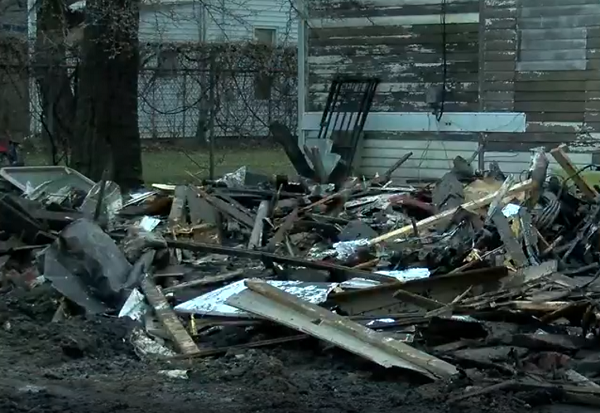 The home belonged to a Vietnam veteran who was known for being a pillar of his community. Thankfully, the man had gotten out of the building to safety, but it was clear that his house was going to be a total loss. 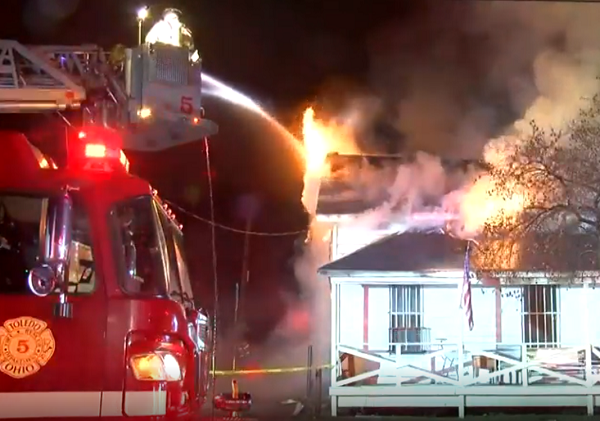 By that point members of the Toledo Fire and Rescue Department were concentrating on keeping the fire from spreading to nearby structures rather than trying to save the home. 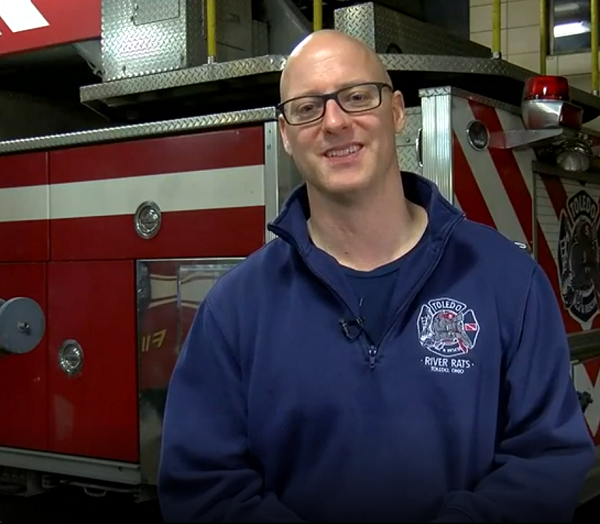 As Allen demonstrated an extinguishing technique for a rookie fireman, he glanced up and noticed an American flag hanging from the front porch of the home. An eight-year Navy veteran himself, Allen simply couldn’t bear to stand by and watch Old Glory burn. As photojournalist Joe Cromer recorded video, he captured the moment when Allen strode across the yard and carefully removed the flag from its spot on the porch. He then carefully carried the flag over to the bumper of a nearby fire truck and out of harm’s way. Allen says it was his own military training that kicked in when he saw the flag in peril. He comes from a military family, so the soft-spoken warrior feels that the flag is a powerful symbol of United States citizens that must be protected at all costs. 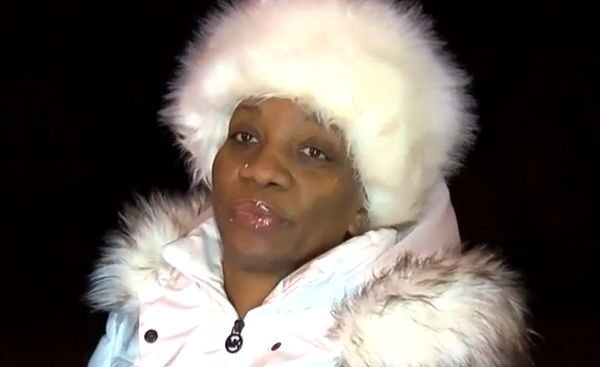 Neighbor Christy Depp was outside watching the flames engulf her friend’s home, and she said the veteran who lives there takes great pride in flying his flag. He’d just recently replaced his old, tattered flag with this new one, so she was especially pleased that Allen took the trouble to salvage it from the flames. “That was a brand-new flag. He took the old one down and took it back and they gave him a brand new one,” she explained. Allen is receiving a lot of attention for his small act of grace under pressure, but to him it was a knee-jerk reaction that he’d expect of any member of the military. We love to see our military personnel respected, and saving this vet’s flag clearly meant a great deal to him and his whole community. Please share this story to thank Allen for going above and beyond to help his fellow veteran.